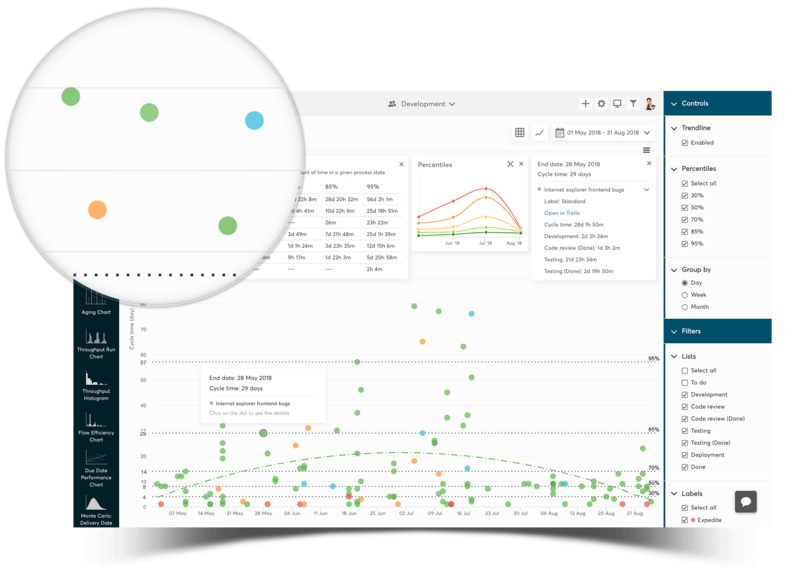 In Cycle time scatterplot by Nave, each data point corresponds to an individual completed task in your Kanban board. The color of a point corresponds to the label of the card in your Kanban board. The height of the dot represents its cycle time - the higher the dot, the longer it took for that task to be completed.